Good Morning Y'all! 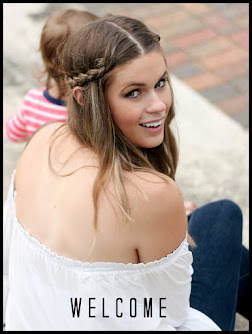 I'm writing from a lake house in the Ozarks, so today's post will be short and sweet. (And Delicious!) I stumbled upon this immaculate holiday themed recipe last week and then continued to eat it over the next few days, for breakfast, lunch and dinner. It only takes four ingredients and could not be any easier to make! WHY IS THIS THE BEST DISH EVER? 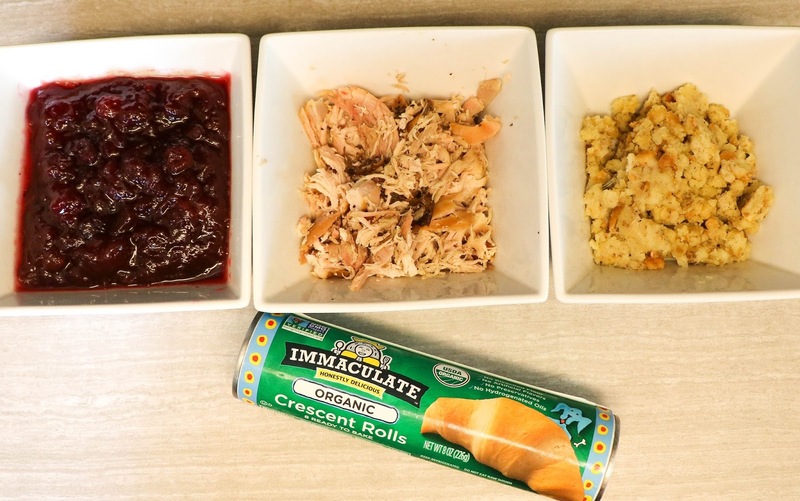 This recipe can be made from scratch, with canned and pre packaged items or from your holiday leftovers. The assembly takes only a couple of minutes so you could theoretically be eating Immaculate Holiday Amazingess in under 15 minutes! Trust me on this. My husband actually hates Thanksgiving foods (Yes, I know he's insane.) But even he loved these. 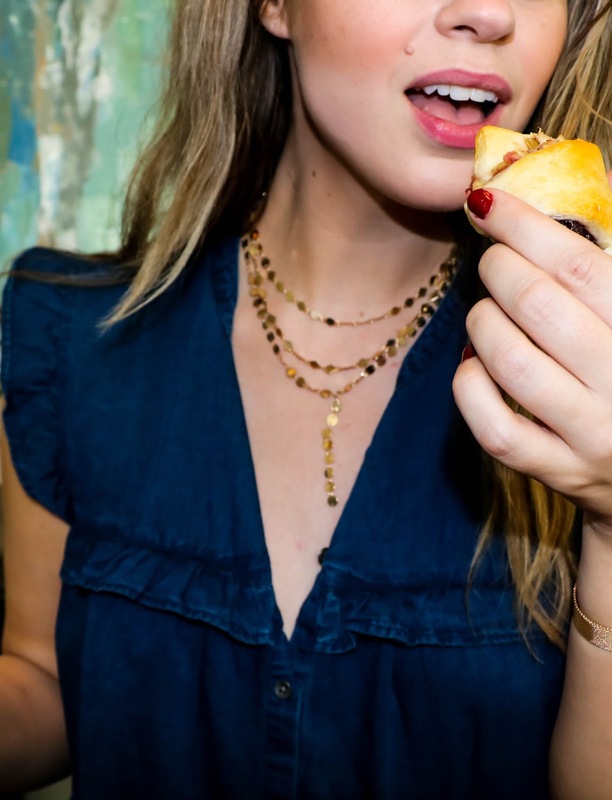 Never underestimate the power of a delicious and flaky crescent roll to bring any dish to the next level. 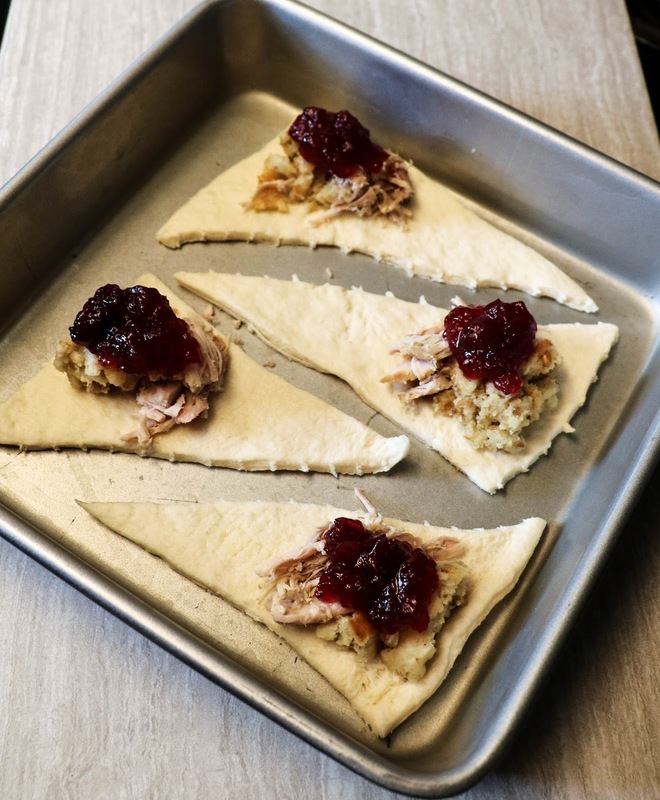 Have you ever tried a dish like this or do you have a go to recipe to incorporate your Holiday Leftovers? I would love to hear all about it in the comments section!! 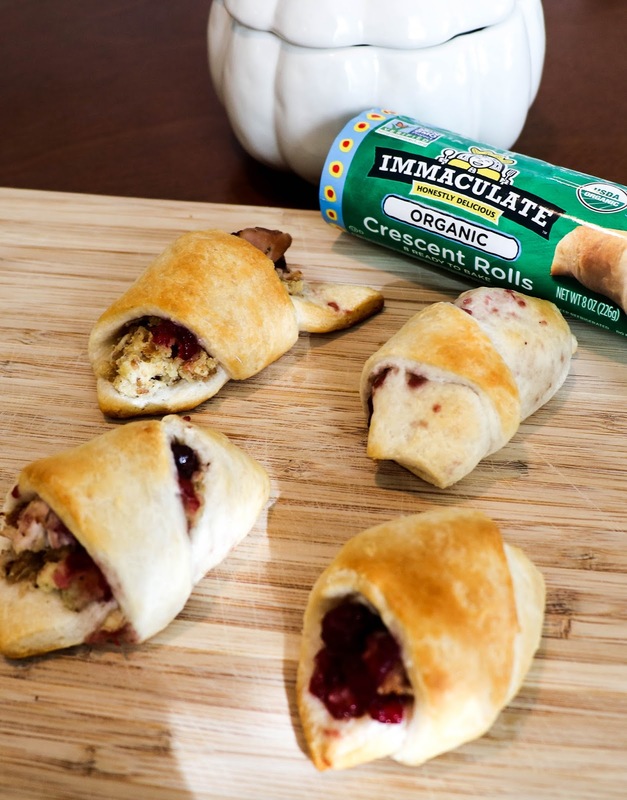 Don't forget to Follow the link below for the $1 Off Immaculate Baking Company Coupon!